Final set for now, thanks again to Gary Murr for these. 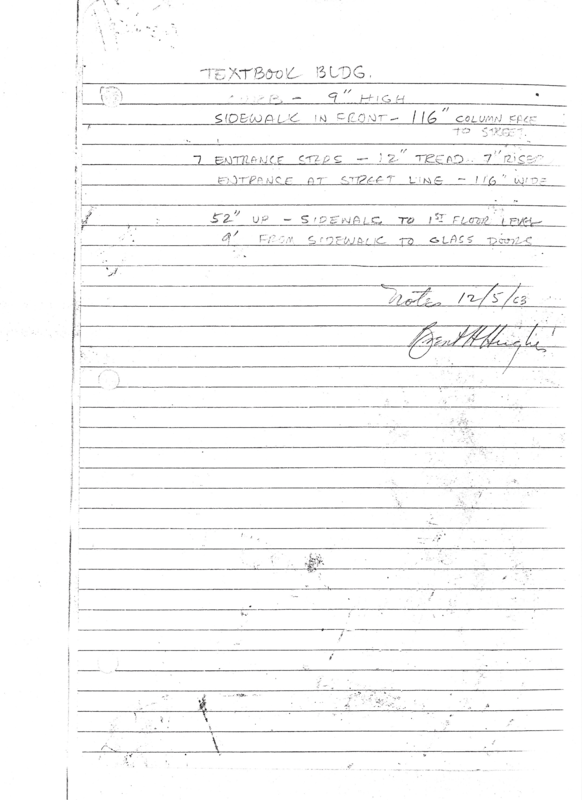 These are drawings of the 3rd to the 7th floor, there is a page with measurements of the front steps and the pavement and a page with notes on the TSBD building’s height in comparison to the DalTex building and The Records Building. All these drawings shed more light about the TSBD dimensions, way more than the WR versions.